Publication: April 29th 2014 by Harlequin MIRA. Karom Seth should have been in the Twin Towers on the morning of 9/11, and on the Indian shores in 2004, when the tsunami swept his entire family into the ocean. Whether it's a curse or a blessing, Karom can't be sure, but his absence from these disasters has left him with crushing guilt—and a belief that fate has singled him out for invincibility. Karom's affliction consumes everyone around him, from his best friend, Lloyd, to his girlfriend, Gita, who hopes that a trip to India will help him find peace. It is in Delhi that he meets Gita's grandmother, Kamini—a quirky but wise woman with secrets of her own. At first Karom dismisses Kamini, but little does he realize that she will ultimately lead him to the clarity he's been looking for. 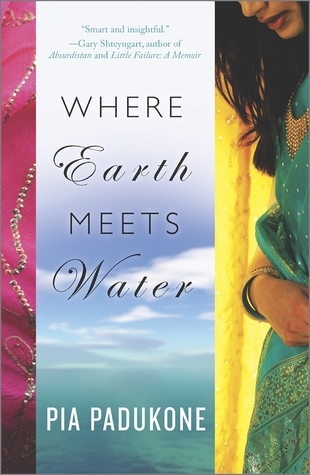 I originally wrote the first section of Where Earth Meets Water as a short story. But I felt there was more to the characters that I wanted to explore, so I kept writing to see where the story took me. I believe that every story has autobiographical influences, and Where Earth Meets Water is no exception. The book was inspired by my own realization of how marginally I have escaped tragedy. The last day of my summer job in Tower 1 of the World Trade Center was just three days before 9/11. I stood on the beach overlooking the Bay of Bengal while the 2004 tsunami crashed into the shoreline a few hundred miles south. I walked past the finish line to meet my husband, who completed the 2013 Boston Marathon an hour and a half before- and a few feet away from where- the bombs exploded. These events forced me to recognize how accidental, how coincidental life can be. The characters were ones I discovered through the first short story I wrote and the more I wrote, the better I got to know them. Thanks to Harlequin MIRA for providing a copy and sharing it with you! Pia Padukone is a writer and a proud native of New York. 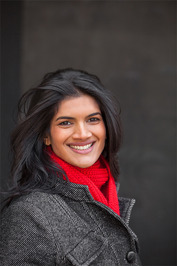 At the age of 12, Pia won the Barnard College Young Women's Writing Award. A finalist in Seventeen Magazine's Fiction Writing Contest, and most recently a winner of the Womenon Writing Flash Fiction Contest. Pia derives much literary inspiration from the world around her. Pia has written for Star News, Associated Press (UK). She and her husband Rohit, maintain a reading and eating blog, Two Admirable Pleasures. Luckily, I wasn't affected by any of these tragedies. However, I have friends living in US and they seem to be living in fear of shooting, stabbing and terrorism all the time. It's the Twin Towers that affected me. I have friends that worked nearby and they were lucky to make it through this tragedy. I have heard accounts of what they have went through. My husband should have been there that day working in the building next door. I am glad he wasn't there. I can't even imagine.